…I drew one hell of a big blank. 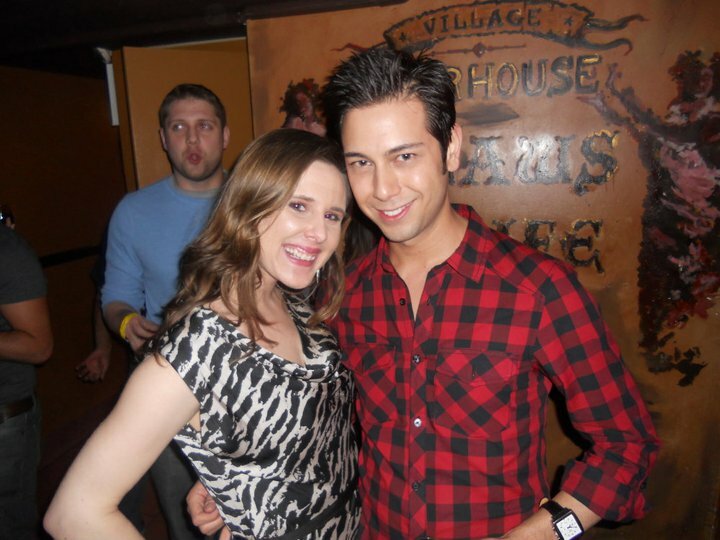 My first anniversary party with James. One year in New York! Which is odd because of all of the years combined, this one has been the fullest. 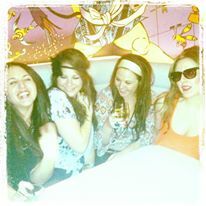 The happiest. The easiest. The brightest. The craziest. It’s opened my eyes and my hindsight, erased a lot of my fears, stamped my passport in four countries, given me a new address to put on the back of cards, made me into the best shape of my life – emotionally, physically, professionally. And it’s given me the confidence that I didn’t have as that bright-eyed, naive 21-year-old who first arrived, believing with all of my heart that everything would work out perfectly. At 26, I still believe that things will be how they are meant to be – but I don’t believe in that perfection. Nor do I want it. Celebrating 70’s style with the gals – M, A and K.
As much as I hated the disasters that have come in my early-mid 20’s, and how much distress and disappointment these trials have caused me, I’m thankful for them. Without those downs, I could never treasure the ups. I know for a fact that the woman I am today, the blessings I have, the friendships and bylines I treasure so deeply – wouldn’t have been possible if I knew everything that would happen when I packed my bags and headed North with a few suitcases, $3,000 and the kind of blind ambition that only comes with youth. And yes, a little bravery. In one word, describe this year. Don’t think, just let it come out naturally. 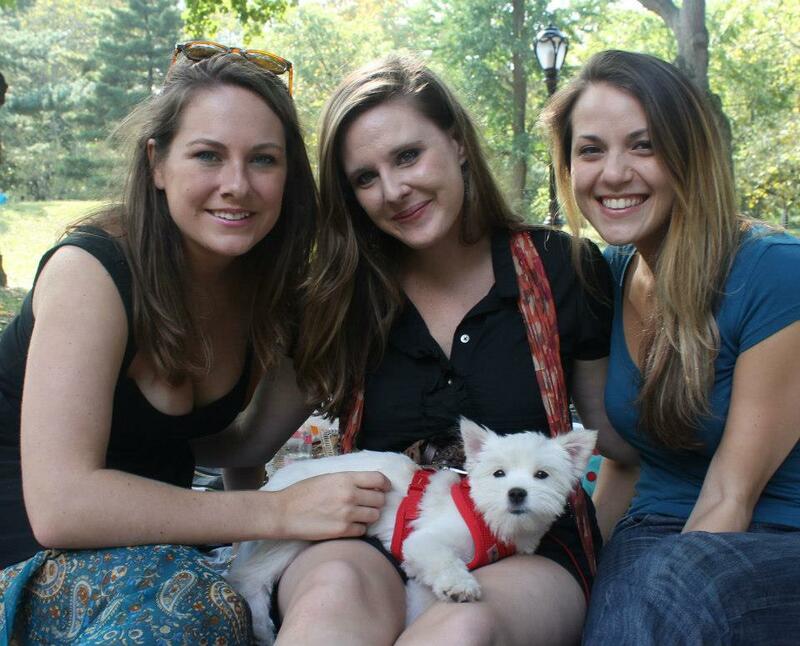 Lucy meets her aunties – M and J in 2012 – a month after I brought her home! In response, I wrote out a pretty profound monologue highlighting all of the things I’m feeling: I love my job, my freelance career is taking off, my apartment is amazing, my friendships are strong and simple, my body is killer (thanks Whole30! ), my spirits are high, my room is clean, I have two trips planned in 2015 and though I’m single, I know more than ever what I want and what I know I deserve. And I’m willing to wait for it, instead of rushing it. Lindsay! I said one word! What word is it? That’s the thing though – I don’t know. Then that’s your answer – that’s your post. Think of how much strength there is not knowing. As she usually is with matters of the heart (and of wine), she’s right. When I close my eyes and think of what next year will bring me or what my life will look like in five years, I only see possibility. I have no concrete plans, I have nothing tying me to the ground, I see the fruitful opportunities in every moment. I have no idea when I’m going to finally surrender my single status and share my life with a wonderful man who is secure enough to read this blog and still fall in love with all of the goodness and toughness that defines me. I have no idea when a publisher will bite on the book proposal that took me 20 cappuccinos to complete. I have no idea where I will live – even though I do love New York, I love London, too. And Paris. I’m sure I also love places I’ve never been to. 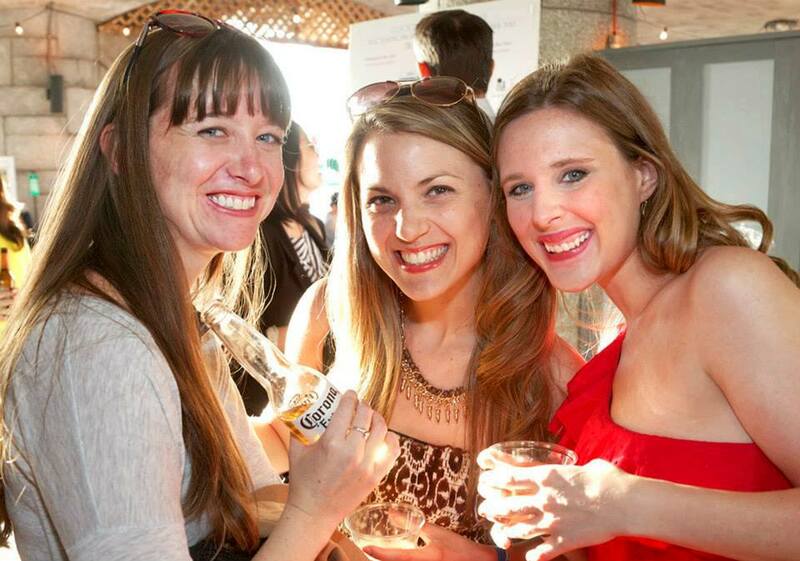 Charity events with booze and sunshine with E and J.
I don’t know the names and I can’t see the faces of my future babies that will one day be the center of my world. I don’t know what articles I’ll write, what dates I’ll go on, what love I’ll make, what chances I’ll take, what images I’ll have framed in my hallway in ten years. I don’t know if I’ll ever be the type of person who can keep a home clean for longer than 24 hours at a time or actually hold a plank longer than a minute. I don’t know if my rent will go up in August or if that dress I love in Bloomingdale’s will ever go on sale. 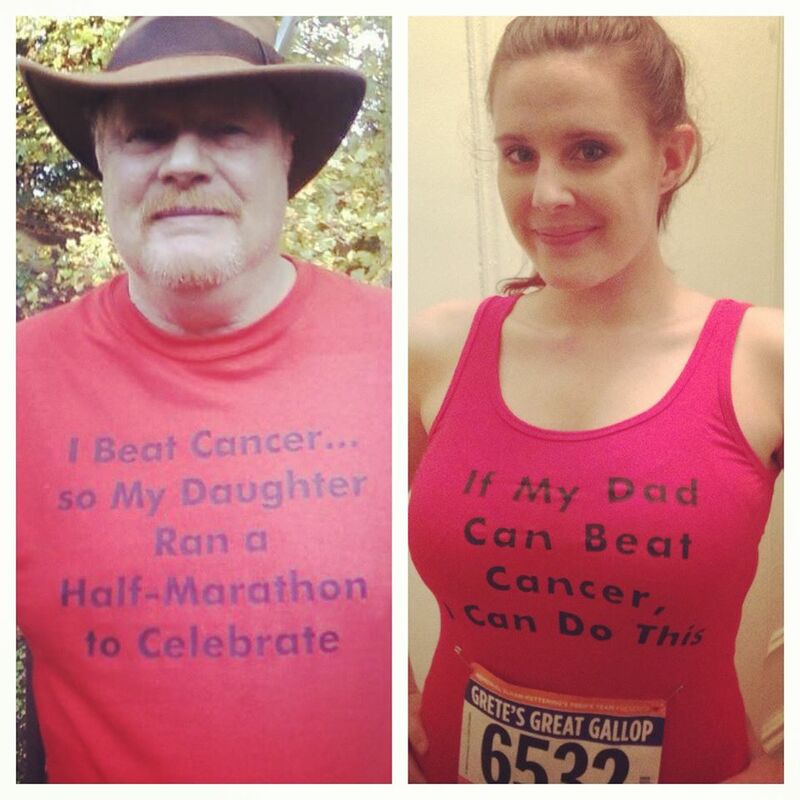 Running my first half-marathon for my cancer-fighting Dad in 2013. But I do know this: the unknown is where everything begins. It’s both the scariest and the richest place you could be. It is ripe with words you can’t hear, roots you can’t feel growing beneath you, wings sprouting that you can’t see are lifting you higher to where you’re meant to be. It is where love is always born. It is where two people take a chance on something they can’t guarantee. It is when you look around you – at the chaos, at the beauty and at the challenges that feel so heavy – and you realize that you are enough to handle all of it. It is where you capture your own power, it’s where you stand up tall, you breathe it all in and you love it all out. 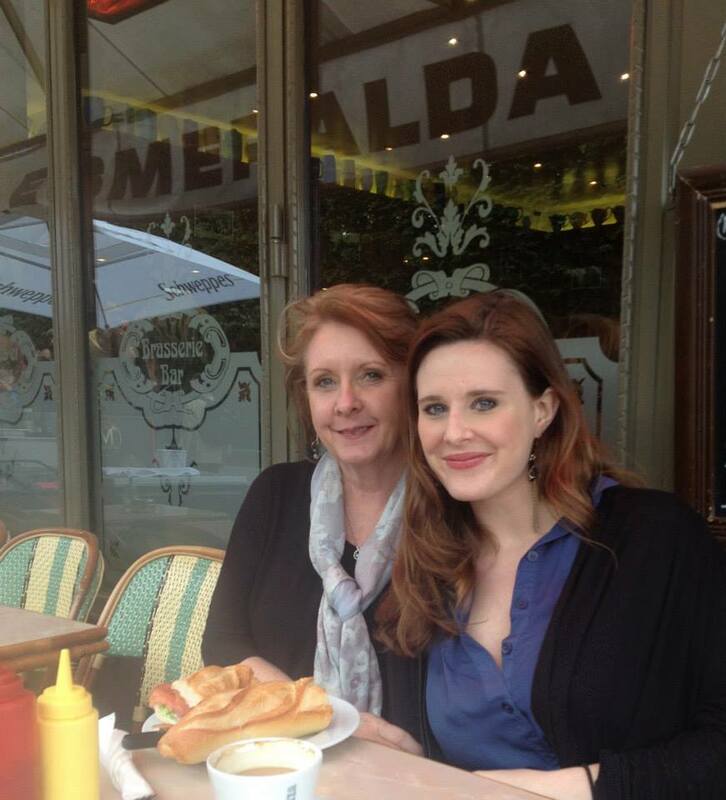 Paris with my mom, April 2014. I do know that in five years, I’ve taken the train more than 2,500 times. I’ve published 660 blogs. I’ve lived in three apartments, had 10 roommates and spent more than $30K in rent. I’ve walked my dog twice (or more) a day for two and a half years. I’ve written for 12 magazines and I’ve watched my byline float around the internet, often without my knowledge. I’ve had at least 200 terrible, no-good, awful dates. I’ve had 20 or so amazing dates. I’ve fallen in love with a man I met on a bus. I’ve fallen out of love suddenly, after years of trying to let him go. I’ve ruined 10 pairs of boots in the snow, slush and rain. 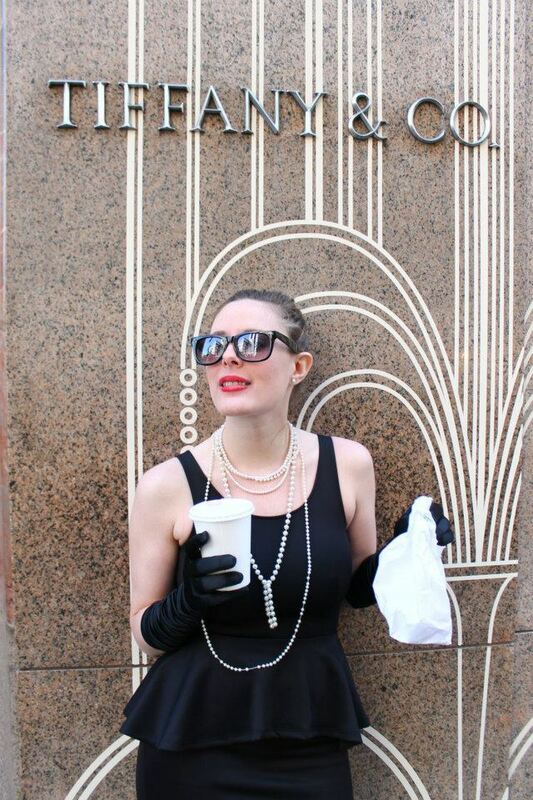 I’ve had my dress blown up from the subway vents a dozen times, every single summer. I’ve taken more cabs that my bank account hoped I would. I’ve had countless G-chat tiffs with my best friends, but far more brunches, dinners, laughs, exercise classes, trips and incredible memories with my favorite people this city inhabits. I’ve flown out of New York more than 20 times to other cities, other countries, other parts of the world I always dreamed of going. 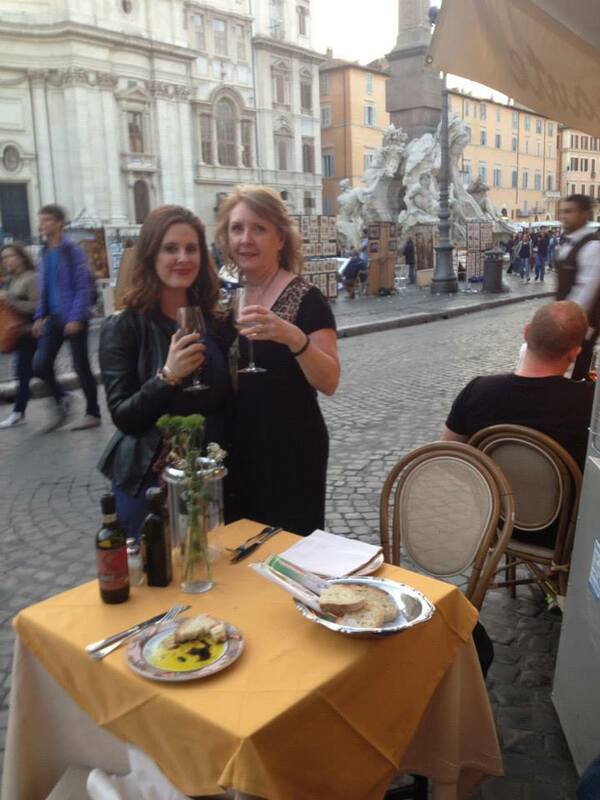 Rome with my mom, April 2014. 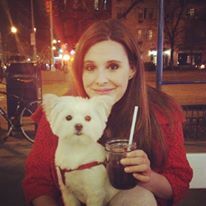 I’ve repeated: You can do this, you can do anything, it’s okay – before interviews, before dates, walking back to my apartment at 3 a.m. in high heels, holding it in a long bathroom line at a bar downtown, before dying my hair for the first time, while running a half-marathon through the island, before having a phone call with my agent, when crying in a cab with my heart broken. Before starting every single last chapter, adventure, love affair, dream and hope in the past five years, I have reminded myself that I can do it. That it’s okay. That I can do anything. That I have no idea how wonderful everything will be. I don’t know when anything and everything will come. I don’t know when the next page will turn, when the glass slipper will drop, when I will have my last first date, when I will be a published author, when all of the visions I have swirling in my head will come to fruition. 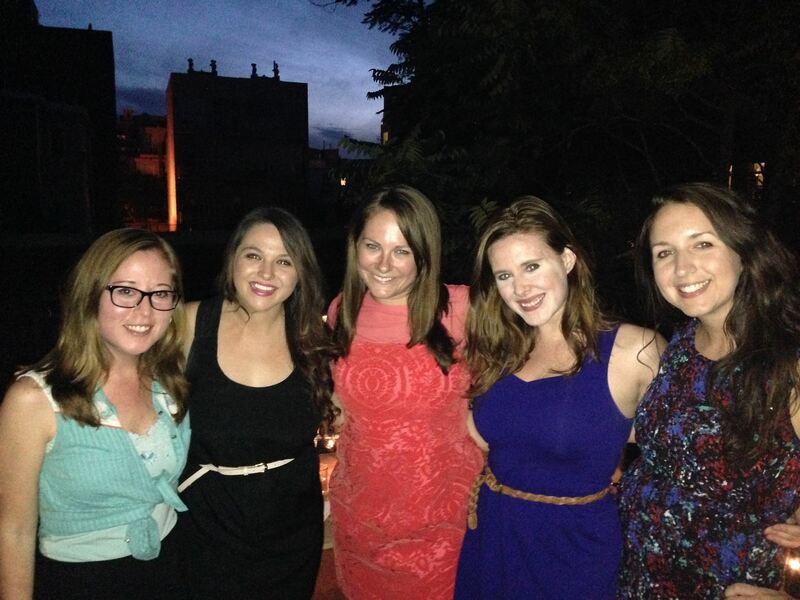 The girls in June 2014 – continuing our supper club tradition. But I do know that finally, after so much work, after so many tears, after so many plans gone awry, after so many text messages and blog posts and kisses and wine and late-night chats and broken IKEA furniture and long walks through my city, my home… that not knowing is the best part of it all. It’s where everything started five years ago, it’s where I’m living (thriving!) now and it’s where I’m going: confidently, bravely, lovingly, imperfectly… into the power, the magic, the passion, the strength and the infinite possibility… of… well, I don’t know. But I know I’ll find out. 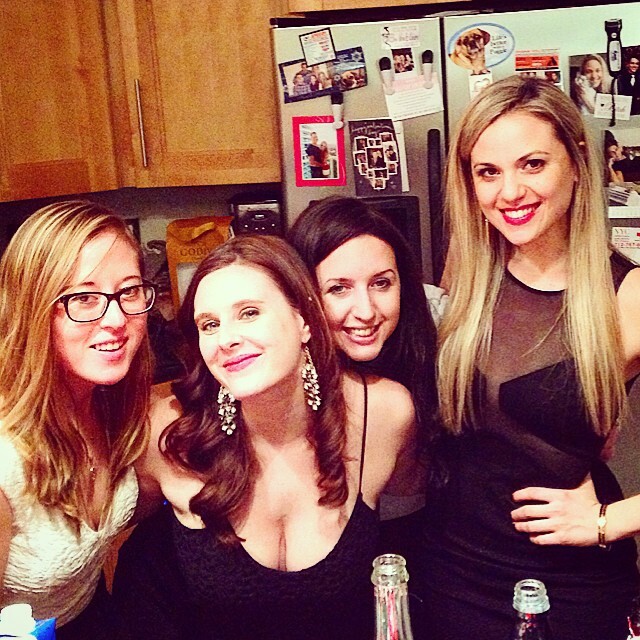 New Year with the girls in 2015. So much to come. This entry was posted in Dating, New York and tagged anniversary, being single in nyc, being single in your 20s, Dating, faith, finding love, Hope, Love, manhattan, Men, New York City, new yorker, Women. Bookmark the permalink. GAH! This. Exactly everything I’ve been thinking about my life put into words, perfectly.